The story is that on May 17, 2018, around 01:30 AM, during a 1 hour police chase of a van containing 30 people, the police fired 1 shot at the driver, hitting 2-year old Mawda, from Iraqi Kurdish descent. The van was driven by people smugglers. The highway police started the chase when they discovered the van had fake number plates. It ended when the van stopped at a rest area 60 km further up the highway. The maximum speed on Belgian highways is 120 km/h and especially at night when there is not much traffic people rarely drive much slower. Belgian highways are brightly lit, there is a myth that they can be seen from space. The driver had no reason to drive slower and every reason to drive faster. Belgian highways don't go in circles. You don't even have to do math to see that the chased van was going much slower, only 60 km/h, instead of faster. 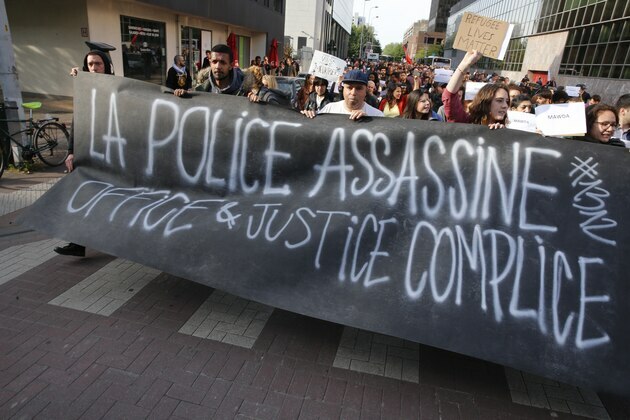 -the committee for police monitoring (Comité P) had first concluded that the girl wasn't killed by the police. But then they changed their conclusion. The first conclusion was supposedly wrong because at that time the doctor had made a mistake in the autopsy. No reason is given how this mistake was made or discovered. -Mawda has a brother of 3 years old (the same age as Aylan Kurdi) who looks very good on pictures. -according to the father they were sitting in front of the van and he saw a policeman firing a shot. The van, a Peugeot Boxer, had no side windows in the back so this means 2 parents, 2 children 2 smugglers were all sitting in the front compartment. This is confirmed by the fatherhere.There were only 3 seats there so everybody could see that they were breaking the law. Why? -The other lawyer of the family is called Olivier Stein (Oliver Stone), Stein is an extremely rare family name in Belgium but it is a common German-Jewish name. -The big story in the media just before this one was about Israel allegedly killing 55 Palestinian protesters, including a baby girl Laila at the Israeli border on May 14, 2018. Belgium was one of 8 countries protesting diplomatically. There was a lot of media attention, also because the Israeli ambassador said in the Belgian parliament that all the people that died where terrorists, including the 8 children. According to the Israeli officials, the girl died of natural causes but a lot of the media questioned this and blamed the death on the police firing a tear gas grenade. I see definitely a parallel. 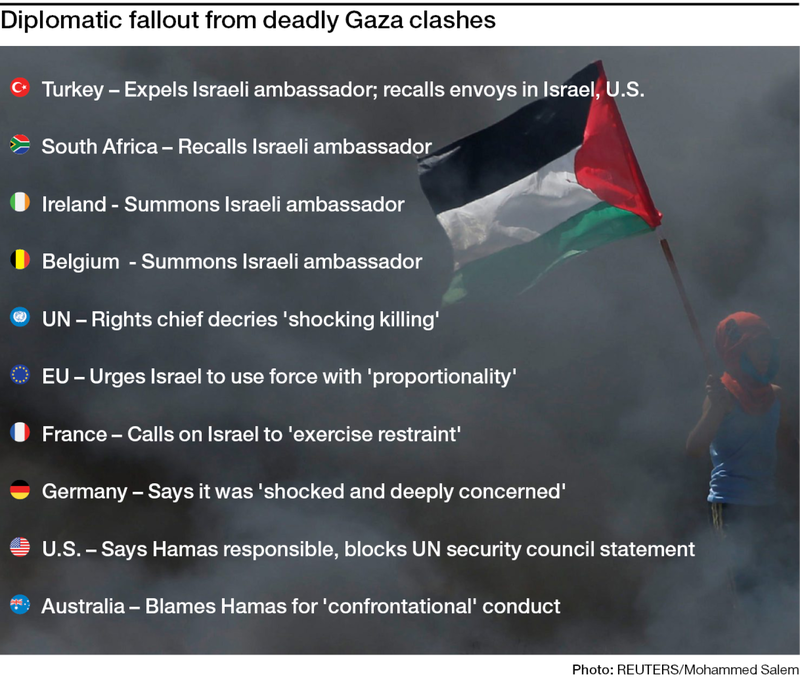 Before that, Israel, Germany and Belgium where bidding for 2 seats in the Security Council of the United nations until Israel withdrew itself on May 4, 2018. Last edited by Seneca on Wed May 23, 2018 9:10 pm, edited 5 times in total. I found no photo of the event, apparently the passengers of the van didn't post anything on the social media. This are the photos of the van that are shown in the media. Or maybe it is just another van of the stated model. According to the story the windows were broken by the passengers so that they could show to the police that there were children inside. Some reports also state that a child was held out of the window for this purpose. This article states that the police thought that they were going to throw the child out of the window to force them to stop the chase. Last edited by Seneca on Thu May 24, 2018 8:45 pm, edited 2 times in total. -There were no images of the other 29 refugees who allegedly were arrested and questioned by police after the incident. -The storytelling in (mostly german) media that I read was homogenious, almost copied, refering in the end to the attempt of refugees to pass through Belgium to France in order to pass over to the UK. Your input, Seneca, started working in my mind. Especially the (not-)coincidences you mention regarding the Belgian elections, the UNSC and the palestinian commemoration of the 70th anniversary of Nakba as well as against the US embassy transfer to Jerusalem. I have not enough information to conclude the death toll during the palestinian protests which seem to be real but enhanced. Has anyone looked into that events from a media fakery/ propaganda angle? I am only speculating but if the event in Belgium is fictitious - that means purely for propaganda reasons - it could be understood as an effort to produce a kind of message of threat to the european, in this case belgian lawmakers, to comply to the requirements of the NATO. The supposed lawyer with the german-jewish name would be that script element wich is needed to enhance the threat ("Mossad involved", "If you dont comply, we will bring the terror to your door"). Thanks for the reaction Faye. I have little doubt that the story is pure fiction. But if it was a real story the lack of photo's of the other refugees could be accounted for. Since they were illegal in Belgium and planning to sneak into the United kingdom and all, they would have every reason to remain anonymous. And the police would have no reason to publish their photo's. For me this is just a minor psyop, it's main function to keep the propaganda machine going. But also to increase sympathy for migrants, just like the Aylan hoax. While at the same time other psyops make people fearful of Islamic migrants. I am not sure how this can be interpreted as a threat to the Belgian lawmakers since they are probably involved. The parallel with the event at the Gaza-Israeli border and the performance that the Israeli ambassador gave on Belgian television shows me how close the cooperation is between Israel and Belgium on the top level. I haven't seen any research on the Gaza incident but I wouldn't be surprised if it was all made up. It seems like a very controllable environment. It wouldn't surprise me also if the leadership of the Palestinian resistance is controlled by the same people, as was discussed here. I agree with your assessment, it was probably a psyOp for propaganda reasons. I would speculate that the elections are the main frame for which this media story was designed. Sympathy for the refugees has also to be created through manipulative events, as the history of hate creating psyops is longer than the contemporary template of the middle east war to route them to europe. Quite a balance act of deception for the old continent. With scare (I used the wrong word: threat in my comment) I mean that the political class is not really in. They are followers of the decisionmakers and have depending on their affiliation to be scared from time to time. Looking forward to our next Fakopedia discussion. Of course by calling him Spiderman he must be able to do that. The desire of the spectator for heroes suspends reality.